The BBC has denied claims that Strictly Come Dancing is fixed, after allegations were made by former Strictly Come Dancing professional dancer James Jordan over Twitter at the weekend. After that Big Brother revelation, who can blame us for being suspicious of our favourite reality television shows? The latest primetime reality show to face fix claims is Strictly Come Dancing, with the allegations made by former Strictly Come Dancing professional dancer James Jordan over Twitter last weekend. In response to Jordan’s claims, a BBC spokesperson said: “This claim is complete and utter rubbish. Pairings of celebrities with the professional dancers is based on many factors and designed to give the celebrities the best possible experience on the show. Jordan appeared in eight seasons of Strictly between 2006 and 2013, placing runner up alongside Denise Van Outen in 2012. In 2014, he appeared in Celebrity Big Brother and placed third. 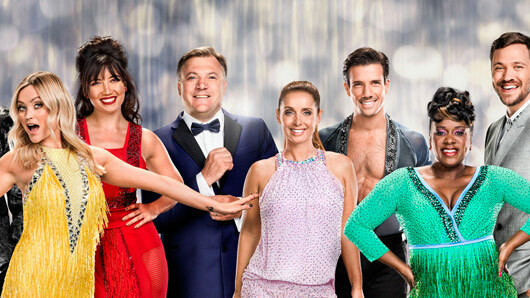 Strictly Come Dancing returns in three weeks for the first of the live shows on BBC One.